At first the notion of a national banjo festival taking off in New Zealand seems as unlikely as a family of hillbillies striking oil and taking up residence in Beverly Hills. 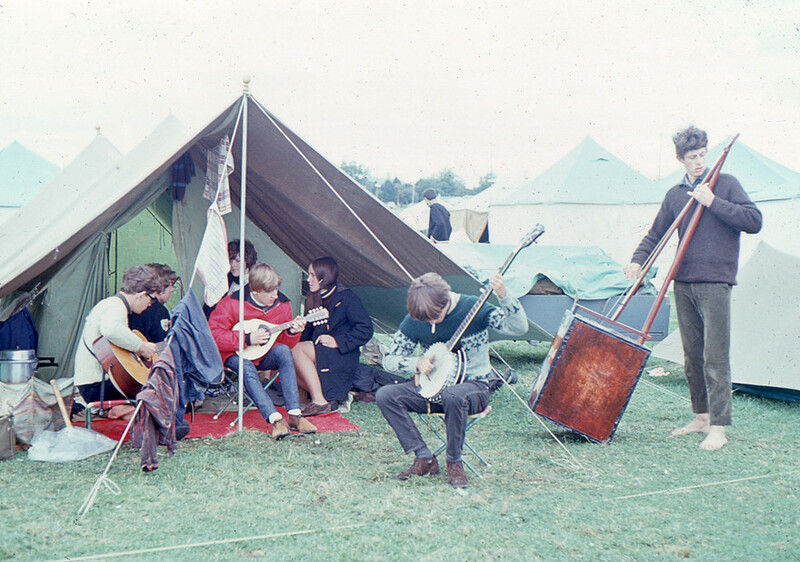 But it makes more sense when viewed in its time: the festivals occurred in the wake of folk boom in the early 1960s when a bunch of young musicians were turned on to the instrument. Some of the New Zealand enthusiasts emerged from the folk clubs early in the decade; others came via the theme music of an American TV comedy. Apart from the folkies, all that most people knew of the banjo in this part of the world was as the instrument of choice for dixieland jazz, or regrettable blackface minstrel shows. The US folk boom and interest in “old timey” music generated new enthusiasts for the five-string banjo (as opposed to the four-string instrument of dixieland jazz). The five-string banjo’s popularity increased with The Kingston Trio’s ‘Tom Dooley’ and was broken wide open by Earl Scruggs’s bluegrass banjo playing on ‘The Ballad Of Jed Clampett’ – the theme of The Beverly Hillbillies. The sound influenced a bunch of aspiring musicians around the country – three of whose paths would converge in Christchurch and Auckland and ultimately bring about New Zealand’s first multi-day national music festival. The common denominator was the tall, blond-headed Michael Grace, who had met banjo enthusiast Clive Collins down south before moving to Auckland and meeting aspiring banjo picker Paul Trenwith. 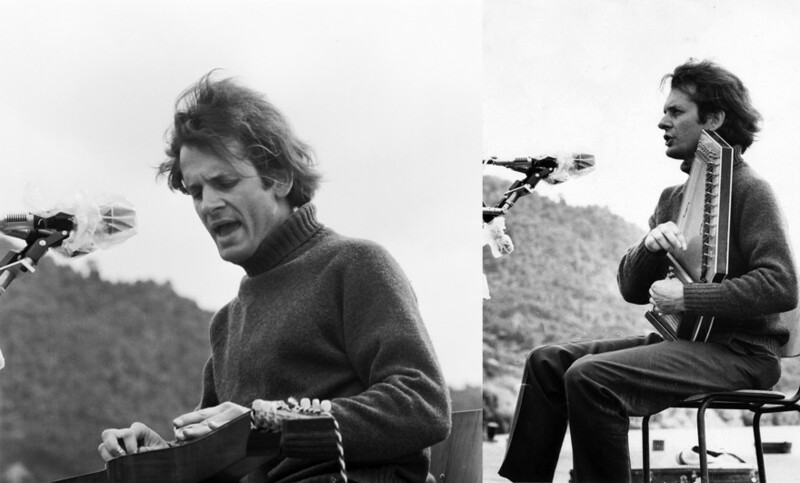 The National Banjo Pickers’ Conventions preceded Redwood 70 by three years and the Great Ngāruawāhia Music Festival by six. The first one in 1967 drew fewer than 200 people to Te Rapa, on the outskirts of Hamilton, but by the time of the final one in the Hamilton suburb of Claudelands in 1970, that number was more than 3000. 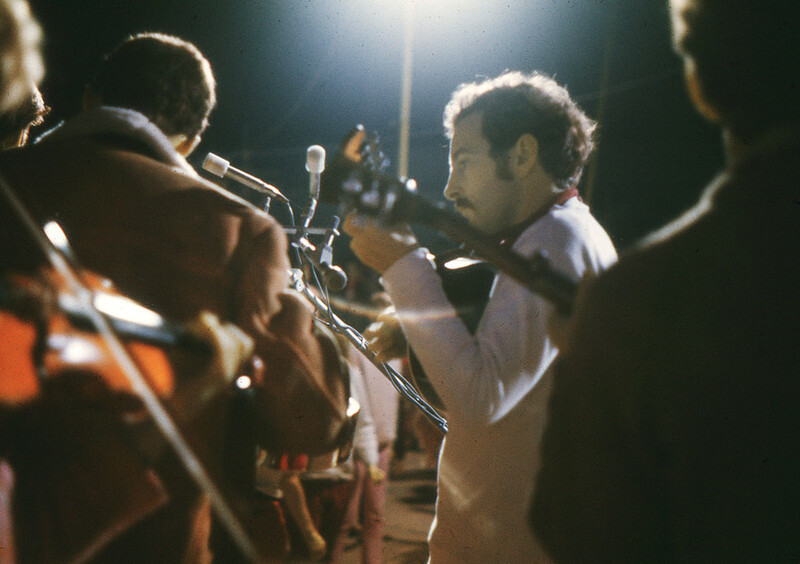 The first two featured solely New Zealand talent, but the final two included American guest artists Mike Seeger in 1969, and Bill Clifton in 1970. Both visitors mingled with the festivalgoers and ran workshops. Clifton even hung around to record an LP with the country’s foremost bluegrass outfit The Hamilton County Bluegrass Band. 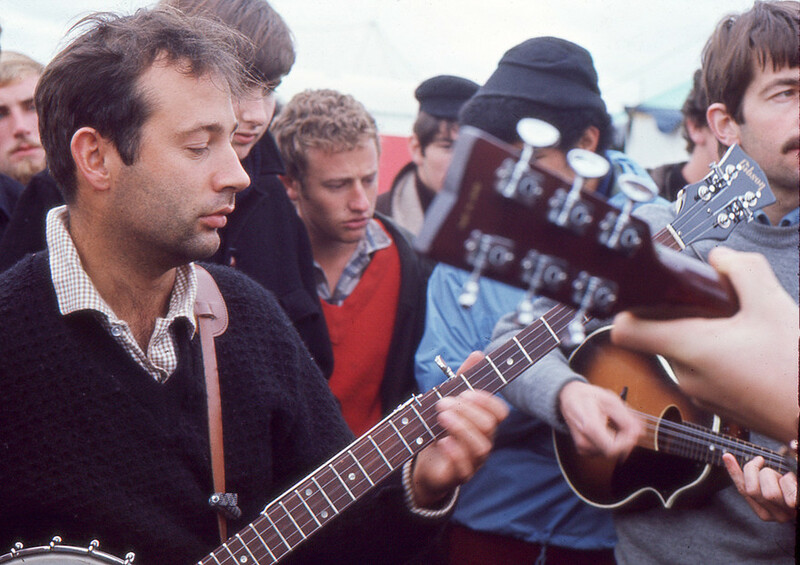 The conventions were the brainchild of ex-Christchurch music fan and banjo picker Michael Grace. His concept was to bring together like-minded folkies to share ideas and play music. Newspaper clippings of the time mentioned the conventions included concerts, square dances, workshop sessions for folk singers and instrumentalists and discussion groups. 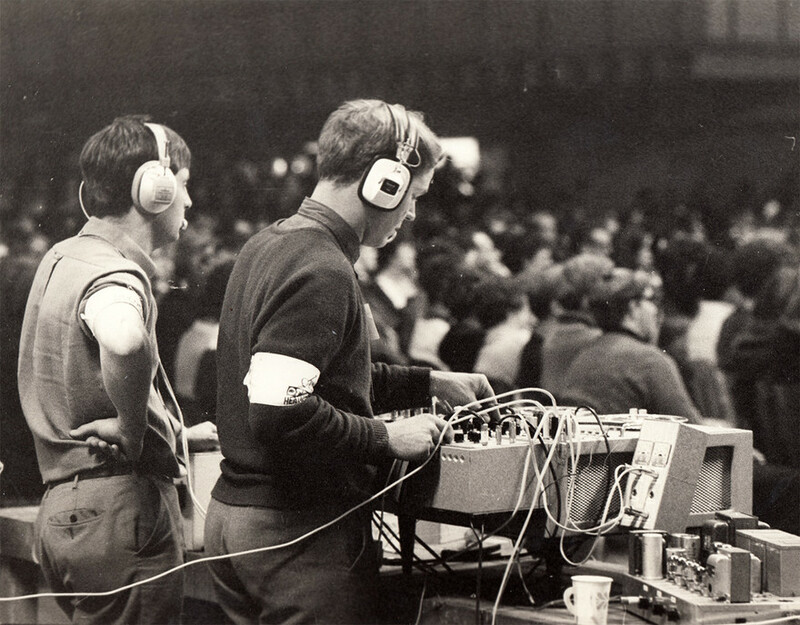 By the time of the Second National Banjo Pickers’ Convention in 1968, soundman and low-energy nuclear physicist John Ruffell and his cohort Robin Gummer, a classical music fan and electronics whiz, were not only mixing the live sound but were recording the entire proceedings and had convinced Kiwi Records to release the highlights on LP. The Hamilton County Bluegrass Band were already established recording artists, but for acts such as Marion Arts, Tamburlaine and Stoney Lonesome, the highlights albums were a step on the way to releasing their own records. For others such as The (Regurgitated) George Wilder Rehabilitation Society Bush Band, The Mountain Ramblers and The Buckhead Strugglers, it was their sole appearance on vinyl. The success of the inaugural convention left no doubt the event would continue. Grace advertised informally through the folk music clubs and universities, and musicians just showed up. “I didn’t need to book anybody,” he told AudioCulture. “It just all happened. Having witnessed the talent at close quarters, when it came time for the final concert each year, Grace could assemble a top-notch programme out of those who had impressed him most over the days leading up. To hear Hamilton County Bluegrass Band banjoist Paul Trenwith explain it, the convention was a folk festival with an emphasis on banjo playing. “And that was what it was always intended to be,” he added. It was not a commercial endeavour. Each convention broke even with just enough left over to set up the following year’s event. After paying the bills for the final one in 1970, Grace spent what was left on a big dinner for 20 or so organisers in an upmarket Auckland restaurant. The festival had grown beyond his wildest dreams and he had no inclination to continue. The Kon Tiki Folk Club of Hamilton seized the opportunity and staged its own Easter Folk Music Festival the following year, which is still running to this day and has affectionately become known as Hamsterfest. It benefitted greatly early on from the goodwill generated by the National Banjo Pickers’ Conventions. 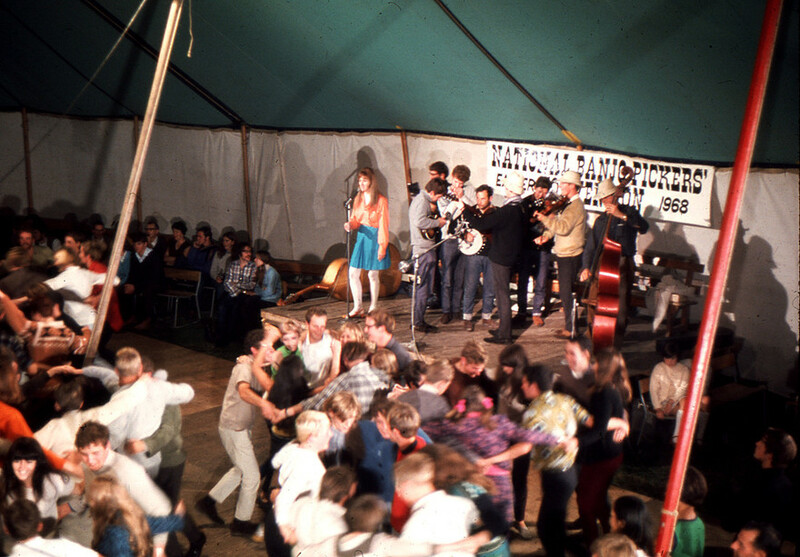 Grace was one of the founding members of the University of Canterbury Folk Music Club in Christchurch in the late 1950s. Exponents of the long-necked banjo made popular by American folk singer and songwriter Pete Seeger, Grace and Hugh Canard were part of folk club groups that performed in coffee houses in the city as well as setting up bigger concerts at venues such as the Civic Theatre. While working at women’s clothing manufacturer Cantwell Creations, Grace befriended workmate Clive Collins, a five-string banjo picker who was intent on bringing American bluegrass music to the Garden City in a series of bluegrass and old timey bands. 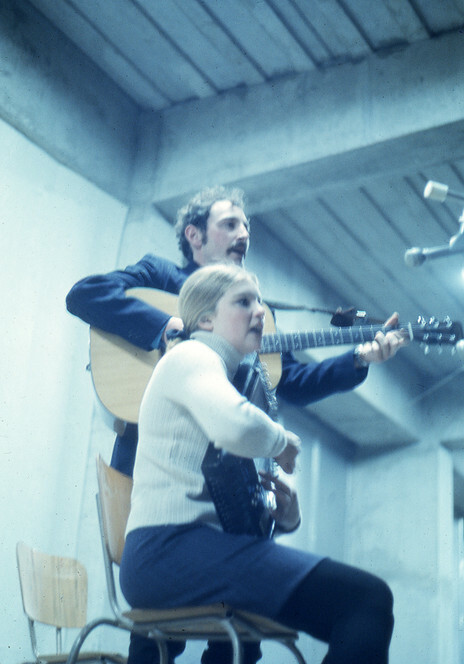 The two became fast friends until Grace moved to Auckland in the early 1960s where he became involved in the fledgling Auckland University Folk Music Society formed by students Dave Calder and Len Cohen. Meanwhile in Hamilton, banjo novice Paul Trenwith and guitarist Alan Rhodes had met in high school and were playing in a folk trio with Ted Ninnes while teaching themselves to play bluegrass music. When Calder ventured to Hamilton one weekend to visit a girlfriend, he listened to Trenwith and Rhodes’s Dillards records and became infatuated with the mandolin. Through that contact, Trenwith and Rhodes were offered spots at the Auckland Folk Festival where they met Grace. He soon became a frequent Friday night visitor to Trenwith’s Te Rapa home where they would sit up all night and play music and where Grace imparted some banjo knowledge that would unlock the instrument for Trenwith. 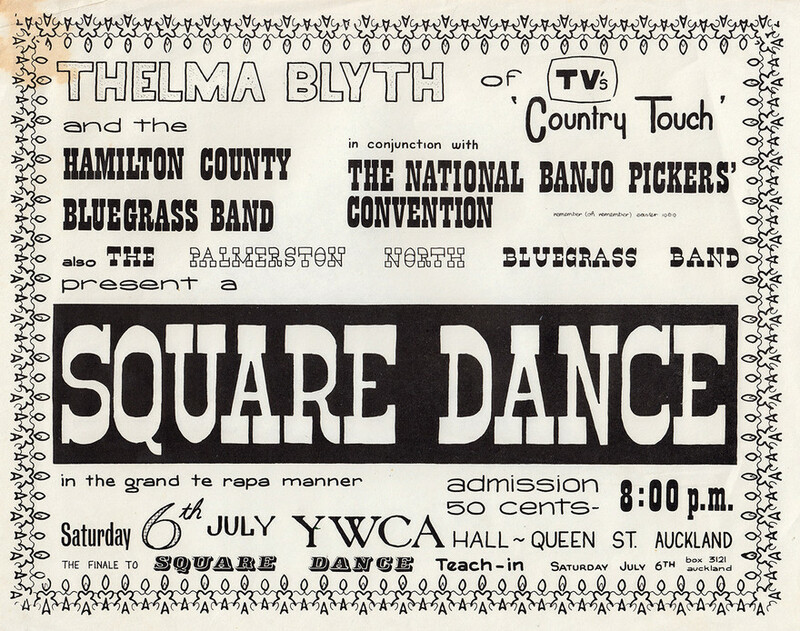 It set the wheels in motion for Trenwith and by the end of 1966 he, Rhodes and Calder had brought together a six-piece bluegrass line-up that was eventually named The Hamilton County Bluegrass Band. Their self-titled debut album was released in early 1967. He struck upon the idea of a convention for banjo pickers and folk music enthusiasts where they could get together to share ideas and play music. 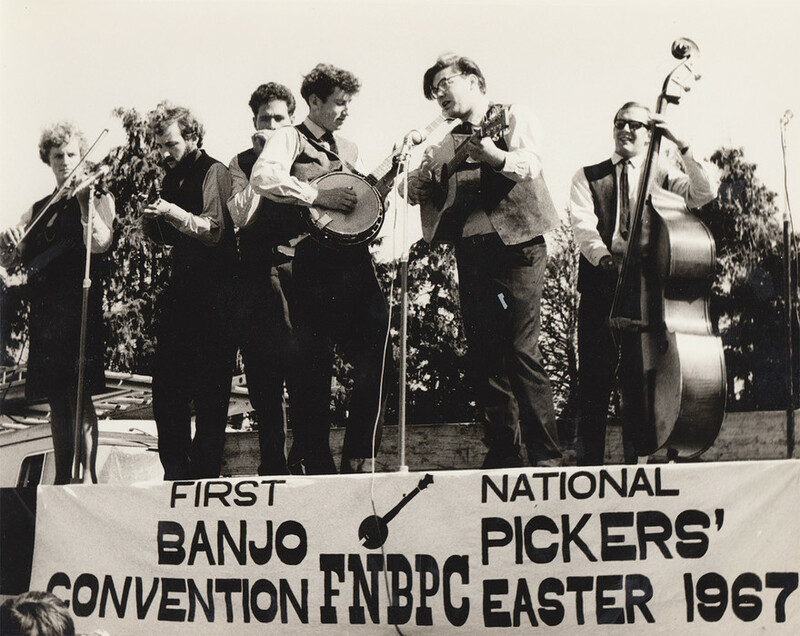 With the support of Trenwith, Clive Collins in Christchurch and a team from the University of Auckland, planning for the newly christened National Banjo Pickers’ Convention began. 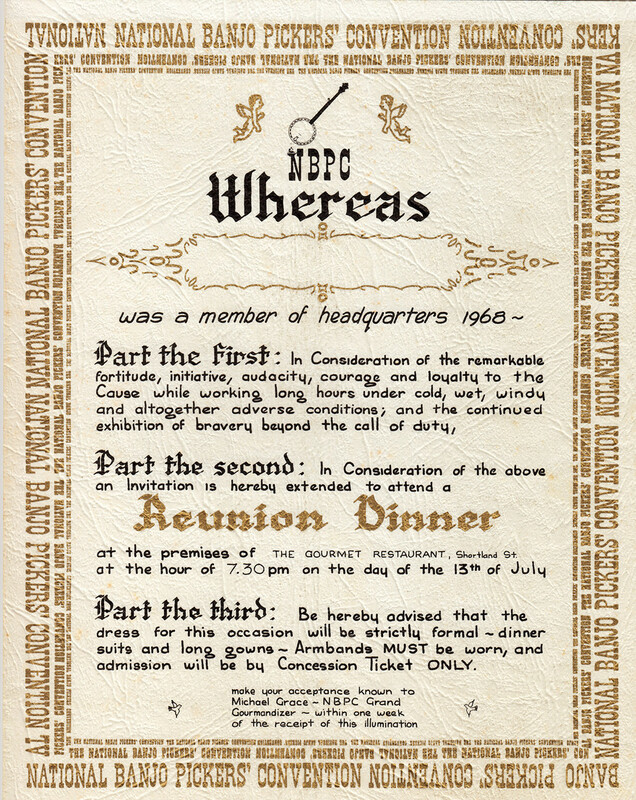 The inaugural event was held in Te Rapa on Easter Weekend 1967, just down the road from Paul Trenwith’s home – no doubt because of the ready access to the Te Rapa Hall; Trenwith’s father was the secretary and had a set of keys. The paddock next door was an ideal spot for patrons to camp in what became known early on as Scruggsville after banjo god Earl Scruggs. Apart from starring with The Hamilton County Bluegrass Band and running banjo workshops, Trenwith was responsible for the toilets that first year. He collected builders’ shutters and built six bogs, digging the holes with a tractor and a drill before standing the shutters around them. Banjo pickers and folkies came out of the woodwork from all over the country. Clive Collins was one of a number from the South Island who drove up individually, crossed Cook Strait by ferry and continued to the Waikato. Soundman John Ruffell described himself as “an okay banjo picker” at that time. By the age of 16, he had already begun recording local theatre productions as a hobby in his home town of Hastings. He moved to Auckland to study physics at the University of Auckland but kept up his interest in recording and started getting hired for commercial productions, especially in location work due to possessing his own portable equipment. Ruffell had been building a reputation with the New Zealand record labels as a freelance engineer and casually mentioned to Kiwi Records owner Tony Vercoe that he intended recording the 1968 National Banjo Pickers’ Convention. The label head was immediately interested and Ruffell persuaded Gummer to bring his homemade tape recorder to capture the performances. 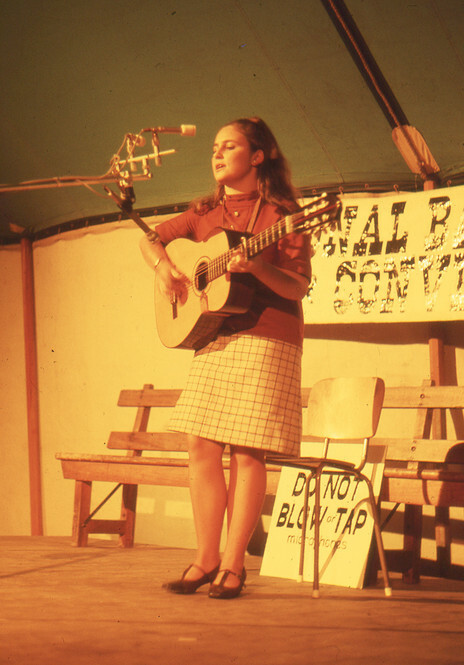 The convention had outgrown the small Te Rapa Hall and Grace decided the main concerts in 1968 would be held in a huge circus tent in a paddock nearby. In the lead-up to the event the tent city known as Scruggsville was described in the South Auckland Courier as “a shanty town of caravans, tents and marquees, with streets marked by ropes”. The “streets” were named after folk singers and groups. What Grace and his team and the population of Scruggsville could not have envisioned was the high winds and torrential rains brought by ex-Tropical Cyclone Giselle that covered the entire country in the second week of April and sank the Lyttelton-to-Wellington ferry Wahine on the Wednesday before the festival. On Easter Sunday, during the afternoon folk concert under the big top, the wind was “a screaming gale”. The New Zealand Herald of 15 April 1968, reported: “The wind got under the marquee, snapped guy ropes and ripped the tent almost from top to bottom. One of the two steel main supporting poles was badly bent and the other, taking the full weight of the wet, wind-bellied marquee, bent like a fishing rod. While the tent was collapsed, the concert resumed acoustically in the overflowing Te Rapa Hall. But it was clear the organisers had to find a new venue for the main concert that night. Grace telephoned the Mayor of Hamilton, Denis Rogers, who arranged for the Waikato Show Trust’s new buildings at Claudelands. Miraculously the equipment was transported, performers assembled and audience informed of the change of venue and the main concert started at 8pm on the dot. 1968 was the first year Kiwi Records released a highlights album. Ruffell’s brother Trevor took the photographs on the cover and the record included tracks from The Hamilton County Bluegrass Band, The Mad Dog Jug Band, The Palmerston North Bluegrass Band and Clive Collins and Jim Doak among others. As the live performances were going to tape, John Ruffell would put check marks and asterisks in a scruffy notebook listing the programme. In the days and weeks following he listened through to the results and his initial scrawlings were nearly always spot-on. If anything, the convention’s attitude of not letting the weather get the better of it added to its legend. Waikato local bodies were practically falling over themselves to host it and in 1969 Ngāruawāhia seduced the organisers. The main stage was a shingle barge moored in the Waikato River. The Friday night concert was held in the Ngāruawāhia picture theatre. For the first time, Grace booked an overseas artist, flying in American singer and multi-instrumentalist Mike Seeger, half-brother of protest singer and songwriter Pete Seeger. 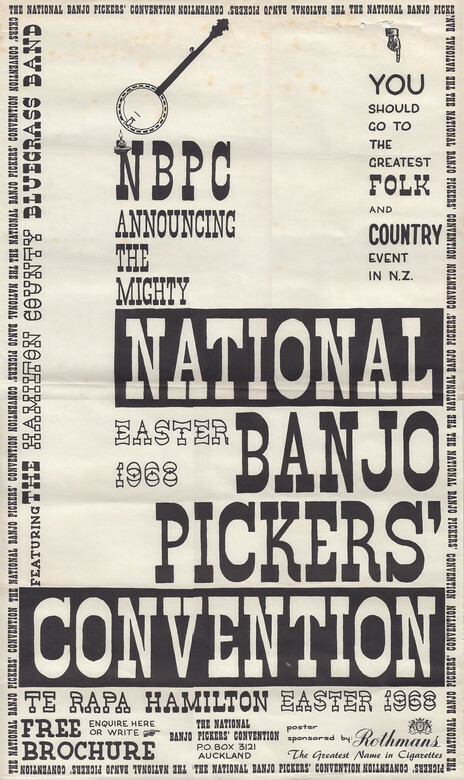 On tour in New Zealand the year before, Pete Seeger had donated US$100 to the National Banjo Pickers’ Convention. His younger brother Mike was a founding member of the New Lost City Ramblers and played all sorts of instruments including guitar, mandolin, autoharp, banjo, fiddle, dulcimer and, as he showed at Ngāruawāhia, spoons. He was enamoured of the entire riverbank scene. Whilst performing in the rotunda he announced how much he was enjoying the event and how he loved the beautiful setting and seeing the old cars. “What do you mean old? !” shouted a wag in the audience. A concession ticket brought continuous, unrestricted access to every activity, a campsite at Scruggsville and admission to the opening concert. The tent town Scruggsville had grown considerably with each convention and was the responsibility of engineer Jeff “Ben” Bendall. He looked after security and the practical matters of the site and the concert venues and anything else that came his way. Registrations topped 1000 and had to be restricted, and the Saturday night square dance had to be limited due to space. 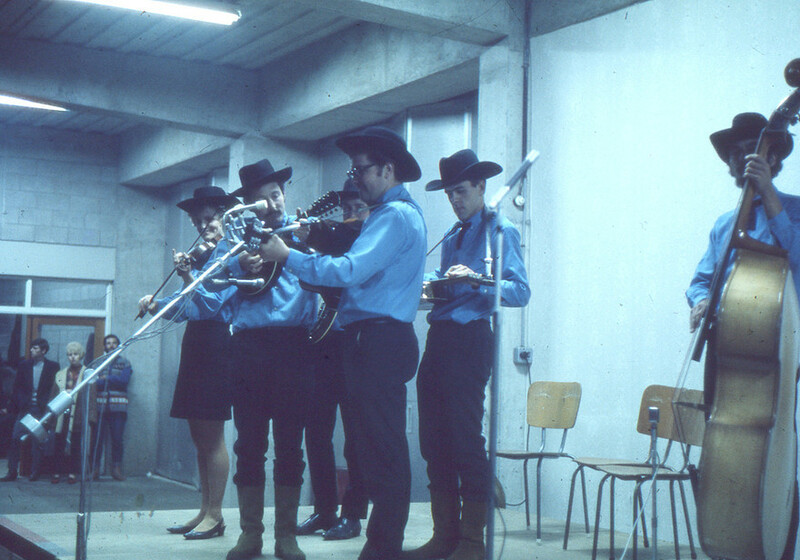 The final concert was again held at the Waikato Show Trust Building at Claudelands with locals swelling the crowd to an estimated 4000. Recording engineer Robin Gummer had taken a job in Canada, so John Ruffell had to make do with the recording equipment he’d accumulated and manage the live and recording mixing simultaneously. “Basically, the live sound became the recording mix,” he said. “You know, we couldn’t really do it separately. 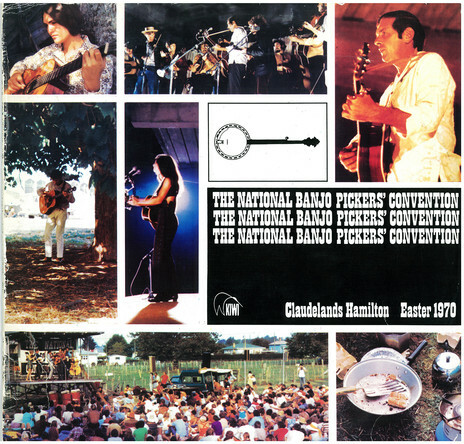 The 1969 highlights LP included performances by the newly professional Hamilton County Bluegrass Band, Mike Seeger, Vernon Dalhart's Cornfield Symphony Orchestra, George Stewart and the Mainland Hoedowners and Clive Collins’ new outfit The Stoney Lonesome Boys, who had shared the driving from Christchurch in Collins’ Vauxhall Cresta with Collins’ wife Lesley and baby son Carl along for the ride. 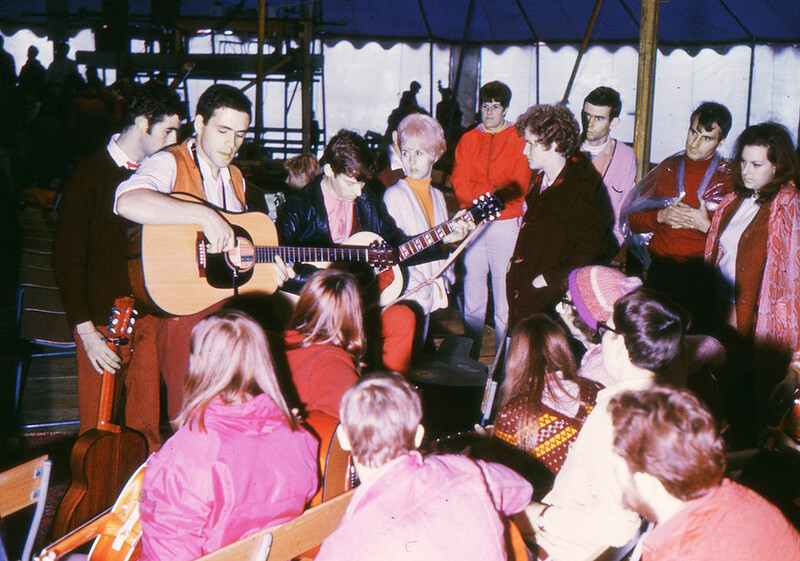 The final convention, at the Claudelands Showgrounds in 1970, was the subject of the Daisy Films feature Keep On The Sunny Side, produced by Bob Harvey and directed by Warwick Brock (see link below). The international guest was American bluegrass musician Bill Clifton who had spent the mid-1960s touring in England before joining the Peace Corps in 1967 and serving three years in the Philippines. The 1970 highlights LP on Kiwi reflected that view, with Tamburlaine’s Steve Robinson performing The Beatles’ ‘Rocky Raccoon’ and Tamburlaine, credited as The Tamburlain, contributing James Taylor’s ‘Something’s Wrong’ and Simon & Garfunkel’s ‘The Only Living Boy In New York’. 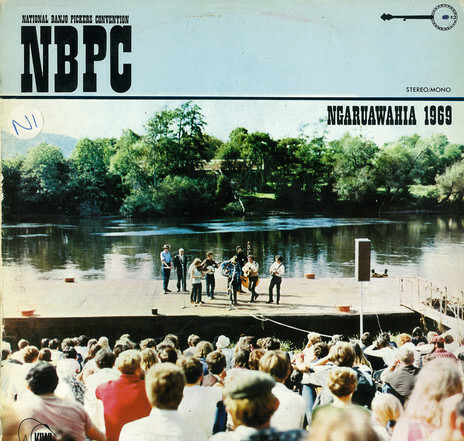 Marion Arts also appeared with Bob Dylan’s ‘It Ain’t Me, Babe’ among the bluegrass staples of Clifton, The Hamilton County Bluegrass Band and others. The escalating intricacies of musical arrangements and the introduction of electric bass guitars by Tamburlaine and Stoney Lonesome in 1970 kept John Ruffell on his toes. “I had a lot of fun with the technical challenges,” he said. “Some of the scale was beyond anything I’d done before, and I certainly enjoyed that. For Michael Grace there was only one conclusion. The event had surpassed all of his expectations and the National Banjo Pickers’ Convention had gone far away from his initial concept. There was no romance, he just shut it down with a celebratory dinner for his faithful team at an Auckland restaurant. Ruffell did heed the call to mix sound and record the first Easter Folk Music Festival the following year but nothing came of the recordings. By that stage, The Hamilton County Bluegrass Band had set up in Sydney and were readying for a trip to the United States at the invitation of Mike Seeger. They would remain in Australia until late 1972 before returning to New Zealand and disbanding after filming TV series Country Road. Life after the banjo conventions was never dull for Michael Grace: they led to a “much more interesting” career than his studies in accountacy promised. He found success in various fields including visual arts in Auckland and the QEII Arts Council and the Council For Recreation and Sport before managing the establishment of the New Zealand Coastguard Federation. 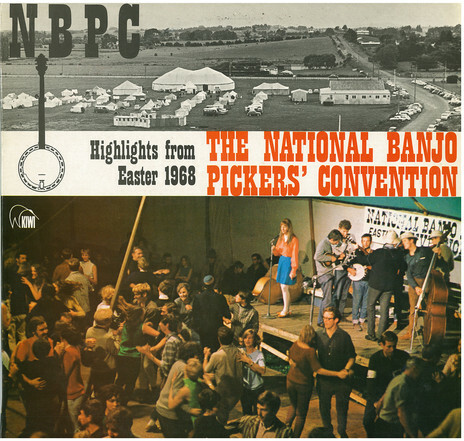 Read more: Duelling Banjos – a photo album from the National Banjo Pickers' Conventions. Read more: Banjos at Dawn – scenes from the National Banjo Pickers' Conventions. 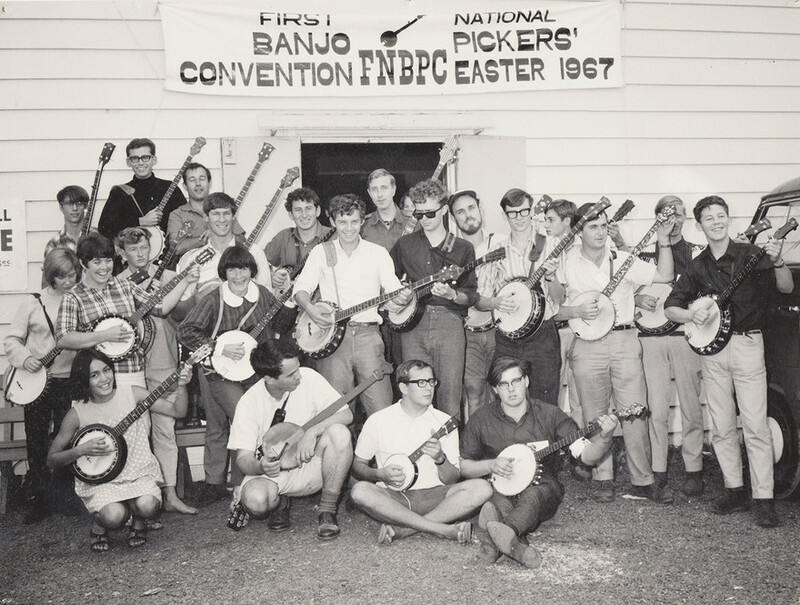 Watch Keep On the Sunny Side – an award-winning documentary about the 1970 National Banjo Pickers’ Convention.